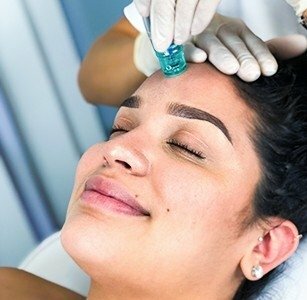 If you want to make a successful investment in your beauty salon, you definitely need to think about buying the best professional IPL machine. IPL machines successfully perform various skin and hair procedures. IPL stands for Intense Pulse Light is a modern technology used for the treatment of different skin conditions. It produces an intensive broad range and incoherent light with a wavelength range from 420 nm to 1200 nm. The discovery of hair removal effect of IPL is an accident. Initially, IPL was designed for skin treatment, and hair loss considered to be a side effect. 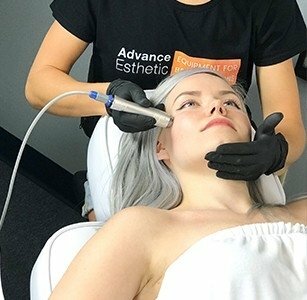 What are the Possibilities of IPL Machine? Should we mention that hair removal procedures are becoming more popular day by day? Your clients will forget about shaving, waxing and tweezing as these methods give the temporary results. IPL machines perform a non-invasive, painless and safe procedure that leads to hair loss. It helps your clients to forget about everyday unpleasant routine. Advance Esthetic offers only the best professional IPL beauty equipment made by leading and reliable brands. From 8 to 10 procedures are an average amount required for a permanent hair removal. As hair has several growth phases, the IPL destroys only active follicles. That is why several procedures for one client required. The clients won't see an immediate effect. Despite that, they will have long-lasting results. They need just wait a little to see how their hair will vanish. IPL is an effective and safe method for treating skin problems. IPL uses light, not laser. This is really important to understand. During the procedure, the broad spectrum of light targets the small area forcing the skin to produce the new cells and remove the old one. It improves skin laxity and increases collagen production. What is important to know too is that IPL is not effective for all skin types. For example, it is not effective for very dark or toned skin. Yes, IPL machine is expensive. 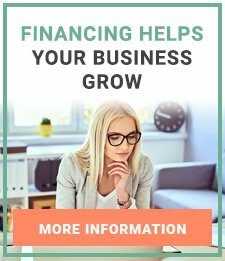 But we can assure you that your investments will return really fast due to procedure's cost and clients' flow. IPL machine is the multifunctional device that provides skin and hair treatments. A combination of several popular beauty functions in one IPL machine makes it a perfect purchase for a beauty salon. It allows you to provide at least 8 procedures for your clients, having only one IPL machine. One machine expands your salon menu while saving the space of beauty salon. As any beauty procedure, IPL procedures have some contraindication and need a prior consultation with a physician. 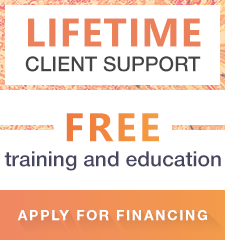 An esthetician who is going to work with hair removal machine needs to have a special training and required hours of work. We are not just offering the best professional IPL device for sale, we are also ready to train your beauticians to make your work even more convenient. We use our experience to make your business work more efficiently. How? We develop our own user manuals to make your work with the professional skin tightening machines super convenient. On our website, you can choose and buy the best professional IPL machine for a salon. We offer the IPL of the leading brands. If you wish to have a close look at the IPL equipment, it is not a problem. We are opening a showroom in Los Angeles soon.